What Day of the Week Was January 15, 1950? 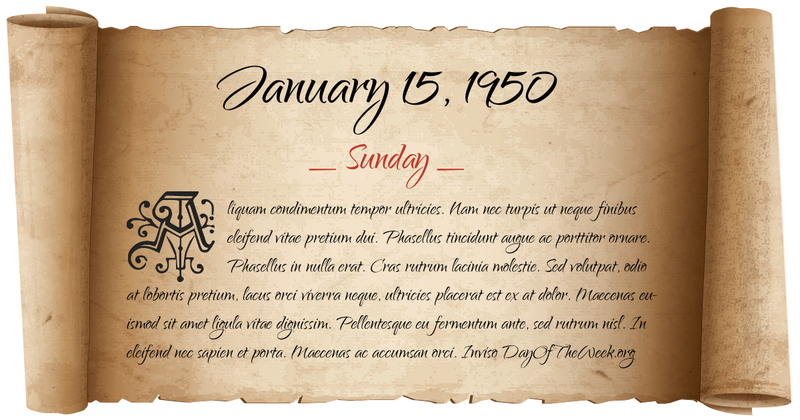 January 15, 1950 day of the week. Find out WHAT DAY OF THE WEEK was this date. Get full year 1950 calendar PLUS bonus info.